So very very very very thankful. From our wild turkey and little butterball. Happy (belated) Thanksgiving! 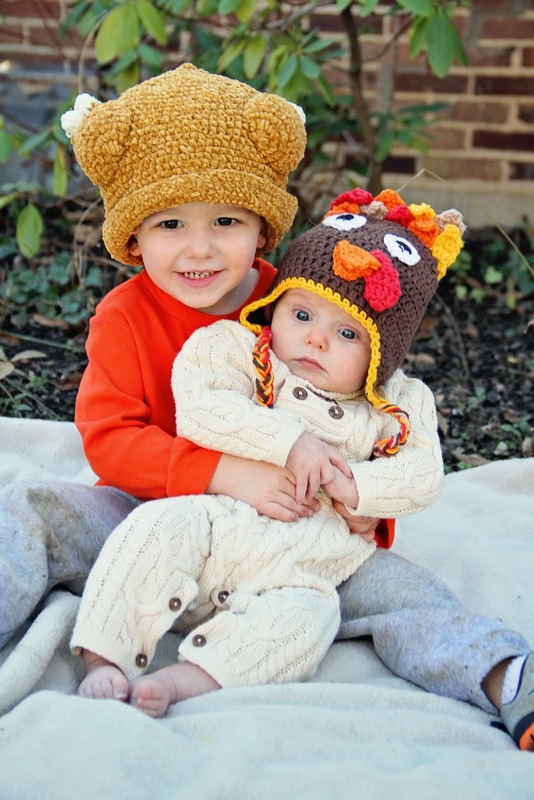 Cutest wild turkey and little butterball I ever did see! Cute Cute Cute!!!! And look at Mac holding Mim! !